Backed by over a decade in the industry, Stone Projects designs, fabricates, and installs premium-quality stone surfaces at an affordable price. Our large inventory, meticulous craftsmanship, and excellent service set the stage for a customer experience that’s second to none in the Boston area. These are just some of the reasons why Stone Projects is Boston’s top choice for natural stone and quartz surfaces today. With our state-of-the art fabrication facilities and team of skilled craftsmen, we’re capable of handling everything from a simple bathroom vanity to the most intricate kitchen remodeling project. We sell and install kitchen countertops, cabinets and sinks in both residential or commercial applications. If you are looking to install quality countertops in your kitchen and bath, give us a call today at (781) 780-2596 or click the "Contact Me" button to send us a message. We look forward to working with you! We are a registered home improvement contracting company with Registration No. 188561. We are a stone fabricator and installer of granite, quartz, and marble for kitchen countertops and bathroom vanities. We purchase the stone from suppliers and then cut, fabricate and polish, and install the countertops and vanities in your home or office. Providing the finest marble and granite design, fabrication and installation to our customers. Our installers have over ten years of experience in Marble and Granite Countertop Installation in Boston. Coupled with affordable prices and excellent quality and workmanship, we are certain that you will be very pleased with the end result. Whether it’s a bathroom vanity, kitchen countertops in Boston, we&#39;ve helped create functional, fabulous kitchens and bathrooms, offering a variety of surfaces including granite, quartz, and marble from our unbeatable collection of exclusive brands and styles for every budget. Our guarantee is that we will not consider a job complete until you are 100% happy. We put ourselves in your shoes and provide our service like we would expect when we hire a contractor. We pride ourselves with attention to detail and working with our customers to make sure that your experience from getting a free estimate to the finished product is very enjoyable. Middlesex County's Leading Showroom for Quality Tile & Stone! 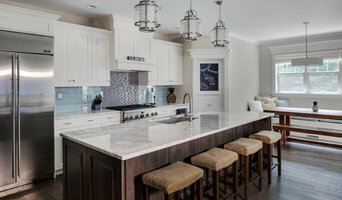 Boston Counters is committed to fabricating and installing only the highest quality countertops in the New England area. We specialize in enhancing residential and commercial spaces through a thoughtful and organic collaboration with each and every client. Selecting the perfect stone to complement your interior can often feel akin to finding a needle in a haystack, which is exactly why our customers continually rely on our breadth of industry experience--and overall good taste. Boston Counters offers an infinite number of natural stone selections through our partnerships with trusted local stone importers. For customers who want a little less maintenance without sacrificing aesthetics, we also offer a variety of pure natural quartz surfaces that include brands such as Cambria, Caesarstone, Silestone, ColorQuartz, PentalQuartz, and Zodiaq. Tile installation for backsplashes, showers, floors, patios, anything tile. Exceptional quality at a reasonable rate! It's amazing what a good-looking piece of art can do for a room. 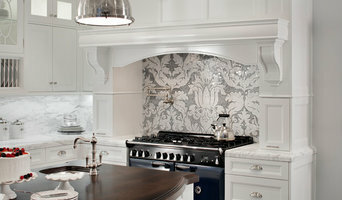 Imagine a new kitchen backsplash, for instance. 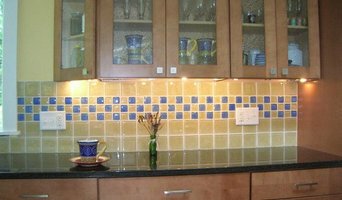 Customers are always satisfied with how their kitchens look after a good tile work has been done. I have worked with clients who are up-to-date with the modern trends, seeking for good-quality and caring installers. I also partnered with designers who have high standards and are in need of installer attention to symmetry and good notion of consistency and uniformity. Serving Boston area with over 15 years experience. A & B Marble & Tile Design is family-owned business located in Arlington, MA. We offer design center style in a neighborhood friendly enviroment. While we might look small from the outside our showroom features a wide variety porcelain,ceramic,glass,mosaics and stone. From traditional and elegant to contemporary and modern we have something for everyone. Our exceptional associates will assist you in taking your design dreams to design reality. Founded in 1918, Colonial Marble Company is a Boston based stone manufacturing facility that collaborates with designers, architects and tradespeople to bring custom stone projects to life. We enjoy planning and designing, fabricating and installing, complex, bespoke, beautiful stone solutions. Through an upfront, educational approach, our clients are able to make the stone choice that best suits their project. Now under the operation of fourth generation family members, Colonial Marble has provided Boston with nearly 100 years of stone manufacturing expertise. From Boston’s South Station to its historic Back Bay residences, Colonial Marble’s work is exhibited in its finest forms. 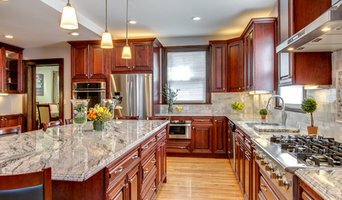 Bella’s Granite & Quartz Countertops serves the Metro West, Boston and surrounding areas. Our goal has been to provide superior, quality consultation, design and installation services to the residential and commercial communities. We work with our clients to design cost effective solutions and schedules to meet their needs. We are committed to the highest level of service and integrity. Our ability to provide quality craftsmanship is second to none. From our first meeting to the end of your project, its our pledge & goal to meet the needs & expectations of our clients. Although our projects may vary, our commitment to our clients remains constant. We collaboratively plan each phase and believe that communication is the key to project success. Bella’s Granite & Quartz Countertops is licensed & fully insured. A&S Stone Fabricators owners Anthony Selvitella and Devair Alves opened for business in 1992. The small tile installation company started in with residential installations. As time passed, we grew into a larger business. Beginning in 2007, the company made the transition to a more specialized focus on granite fabrication and installations to go along with our expert tile installations. Our dedication and professionalism is garnered from over 20 years of providing our clients with superior materials and service. We specialize in custom slab work and unique tile installation. We are one of the most established granite and tile companies in Massachusetts and our experience and expertise in the field have made us one of the premier Granite and Tile fabricators and installers. We recognize the importance of integrating all the elements into your building of your dream home or the remolding of your existing home to create a beautiful, functional and successful project. For over 60 years Tile Showcase has been providing products, service and expertise to contractors, designers, architects and homeowners. We are the leading showroom where you will find the most extensive selection of ceramic, porcelain, natural stone, and glass tiles in New England. We have considered every detail when designing our two showrooms to assure that you will feel comfortable and inspired to create the kitchen or bathroom of your dreams! Tiles Gone Wild offers the area's largest selection of gorgeous hand made, hand glazed tile, dazzling glass, unique stone, custom mosaics and other surfacing. We provide tile installations for any room in your home including bathrooms, kitchens, backsplashes, fireplaces, mudrooms and more. Tiles Gone Wild will only install material purchased through Tiles Gone Wild. Browse our projects for just a few of the many options available. Your imagination is the limit. But that is just where it begins...Stop by our showroom for more ideas, or make an appointment with our designers-it's free! We invite you to experience some of the most luxurious surfacing colors and textures available. If it involves tile, stone or another countertop material, odds are this pro can tackle the job. With comprehensive knowledge of which surfaces will work best in various locations within the home, Massachusetts tile, stone and countertop contractors can help you select the ideal material for the intended application. Some focus on kitchens and bathrooms, while others handle outdoor projects, such as walkways. 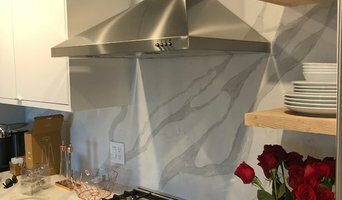 In addition to basic surfaces, many Wakefield, MA tile, stone and countertop contractors can create and install murals and mosaics, as well as add decorative edge treatments to countertops. They also repair or replace surfaces in the event of chips, cracks, stains or other damage. Many tile, stone and countertop professionals also install shower pans, radiant-heat flooring systems and other common components of surfacing jobs, often working in tandem with Wakefield, MA plumbers or other professionals. Here are some related professionals and vendors to complement the work of tile, stone & countertops: Interior Designers & Decorators, Architects & Building Designers, General Contractors, Kitchen & Bath Designers, Design-Build Firms. Find a tile, stone and countertop contractor on Houzz. Narrow your search in the Professionals section of the website to Wakefield, MA tile, stone and countertops. You can also look through Wakefield, MA photos to find tile, stone and countertop projects you like, then contact the contractor who worked on it.